Oh happy day!! 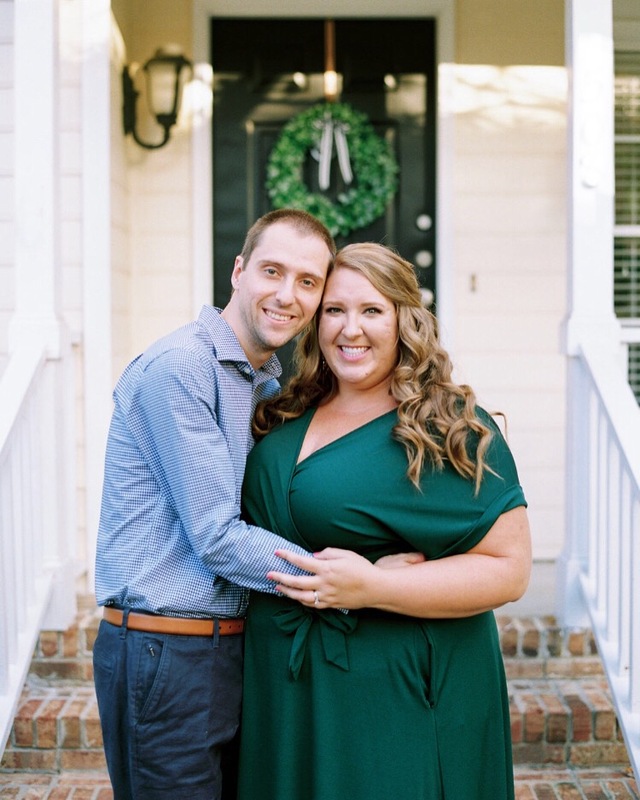 Alex and Graham were married this past June in downtown Durham at the First Presbyterian Church and The Cotton Room! This wedding was utterly spectacular in every way, and I was absolutely blessed to be a part of Alex and Graham’s wedding. I have countless happy memories throughout their engagement, leading up to the wedding day, and on the big day itself, and I could go on and on about how incredibly special these two, their families, and their friends are. The second I met with Alex and her amazing mom, Suzie, in person, it was an instant connection and just SO darn fun. I feel like the entire Lowe family is a kindred spirit, and I am so, so happy that we have another Lowe wedding in 2019 (more on that below!)!! Alex and Graham were clearly made for one another, and their love for each other zest for life, deep love for others, servant hearts, and generous spirits were evident time and time again. They love their family, friends, and community deeply, and their personalities and love story were brought to life so beautifully on their wedding day! Alex and all twelve of her wonderful bridesmaids spent the morning getting their hair and makeup done, and it was such a calm, fun morning filled with lots of laughter, excitement, and anticipation. You can tell just how adored both Alex and Graham are, and I’m always a huge fan of large wedding parties! Alex and her dad shared the sweetest first look, and there were lots of happy tears as the wedding day unfolded. Having their wedding parties (and best friends) pray over them mere moments before the ceremony was incredibly intimate and special, and these two place such an emphasis on their faith. The church began to fill up with almost 300 of their nearest and dearest, and it was such a smooth, sweet, and fun day with a whole lot of giddiness! I don’t think these huge smiles left their faces the entire day, and Alex and Graham’s gratitude, love, and sheer excitement was so palpable. They were simply so excited to be married to each other, celebrate their love with family and friends, and dance the night away, making their wedding day such an remarkable, happy, beautiful, and fun celebration. They also exited their ceremony at the church and drove off in this classic white Rolls Royce, which was just icing on the cake (and a total surprise!)! The beautiful, beautiful Lowe ladies — they are all so amazing! What a privilege it is to know these two beautiful, kind, hilarious sisters, Alex and Katie, — and now to plan both of their weddings! I have absolutely adored getting to know this incredible family as we planned Alex’s wedding this summer (seriously, ask my husband how many times I raved about their entire family! ), and now Katie and Pace are engaged! With their summer wedding on the horizon, I truly couldn’t be more ecstatic to spend another year with the Lowe family… and to bring Katie and Pace’s dream wedding day to fruition! What a deep, deep honor it is to be a part of this exciting season of life for such inspiring couples and their families. This head table design makes me so giddy, and it really sets the stage for the reception design. We really set the head table design apart from the rest of Alex and Graham’s guest tables by accentuating it with this dazzling gold sequin linen, topping it with two massive Edison bulb chandeliers, and adorning the tables with lush florals + greenery. It was one of the first focal points when you walked into The Corront Room — and it was simply spectacular for such a special, special wedding! One of my biggest goals for every wedding is to make it very “them” — in this case, for the wedding to embody Alex and Graham and who they are. And we heard that compliment time + time again during (and after) their wedding — this wedding was so personalized, meaningful, and unique in countless ways! Alex and Graham are avid readers (my kind of people! ), and they collected 300 books — their very favorite titles — to share with their guests and give as favors. It was such a hit! We adorned two of these gorgeous gold bookcases with an array of beloved books, custom bookmarks, and flowers to greet their guests, and their family and friends were able to select a beloved book of their choice to take home as a memento of the wedding. Alex and Graham were geniuses to think of this creative idea for their guests — it was unbelievably special and so unique! Hooray!! It was an epic, incredibly fun, and stunningly beautiful celebration for these two amazing people as they because husband and wife on such a pretty day! The dance floor was utterly packed all night long, the donuts were such a delicious hit, we had zero books leftover from their wildly unique and meaningful book favor display, the love and joy was so very palpable, and their sparkler exit was such a special end to their wedding day. I can’t rave enough about Alex, Graham, their families, and their friends — it was such a remarkable, amazing wedding, and I am eternally grateful to have been a small part of it. This wedding, and these people, hold a very special place in my heart! Cheers to the new Turners, and endless congrats, you two!! I adore you both — and wishing you a lifetime of joy and love as you begin your married life together! It was such a joy working alongside some truly fantastic vendors, and we had an incredible dream team. There are so many people and teams who worked tirelessly to selflessly serve this couple on their wedding day, and I can’t thank them all enough!